Micromax Technology offers a varied selection of rugged and reliable Ethernet devices designed with modern businesses demanding applications and environments in mind. Every industry is now able to get their devices connected to Ethernet backbones and networks. We supply Ethernet Extenders, Ethernet Switches and Ethernet Routers. Ethernet extenders are an effective method of expanding your Ethernet LAN connections as needed. The extenders are simple to arrange and can be installed on top of existing copper cables. 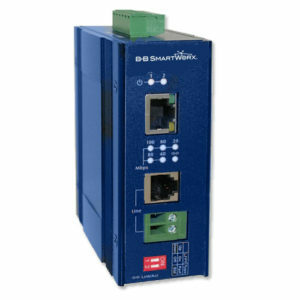 The innovative Ethernet Extender from Advantech B+B SmartWorx can expand your network up to 5 ½ kilometres over your existing copper wires. Go even farther over fibre optic lines with our Ethernet media converters. We provide high performance Ethernet switches to ensure quality connectivity and communication. Our products are easy to install and cost effective with the capacity to withstand wide-ranging temperatures from -40C to +80C. Our switches also have the option of single and multi-mode fiber optic ports. Micromax Technology supplies a comprehensive range including managed, unmanaged, industrial grade, ultra-compact, DIN-rail mount, multi-ports, Power over Ethernet (PoE), gigabit options and more. Features of our Ethernet routers include firewall support, VPN security, SNMP management and robust design to handle harsh environments. Use of an Ethernet router can create ease in data exchange and redistribution. From ultra-compact 5 and 8-port models that take up less than an inch in your crowded cabinet, to 26-port rack mount models for complex applications, we’ve got you covered. Most of our switches have options like single and multi-mode fiber optic ports, and wide operating temperatures for use in hot enclosures and sun-baked installations. We even add redundant power inputs so you can add a back-up power supply to keep your connections up and running. We also have Gigabit, Power-over Ethernet (PoE) and sophisticated management options. 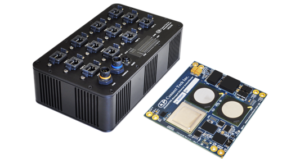 Diamond Systems offers a variety of rugged, small form factor, managed Layer 2+ Ethernet switches with features that support a breadth of applications. Diamond Ethernet switches support transportation, medical, aerospace and defence and other applications found in the harshest environments.  All I/O connectors on the switches are latching, providing enhanced reliability over the RJ-45 connectors used in commercial Ethernet switches. A 50% thicker PCB provides better protection against vibration in vehicle environments. The -40ºC to +85ºC operating range makes DSC Ethernet switches suitable for use in outdoor and vehicle applications. 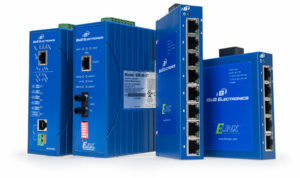 Diamond’s Ethernet switches are standalone and do not require any host computer interface. All switch functions are managed by a microprocessor embedded directly into the switch. 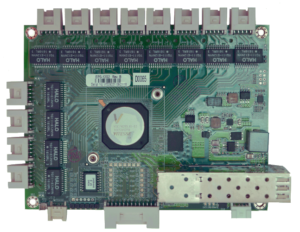 The processor is accessed via an in-band web interface over one of the Ethernet ports or via an out-of-band command-line interface over an RS-232 serial port. The integrated web interface provides an intuitive GUI for use in configuring and managing all switch functionality. 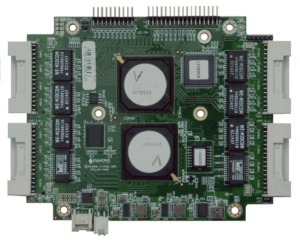 On-board memory holds dual application images, boot code, MAC addresses, and other parameters, and can also be used for program execution.